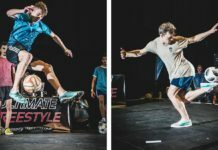 After establishing itself as the premier organization promoting freestyle football in the United Kingdom and Ireland, the Atlantic Freestyle Football Open recently folded, with founder Jason Heaton citing time and financial constraints as its main reasons. We got a chance to catch up with Heaton for an exclusive story to find out what led to the decision, as well as what is next for freestyle in the UK. There is no question that competitions have played a vital role in growing and developing the sport of freestyle, both increasing athletes’ skill level as well as boosting the profile of the sport overall. For some countries, freestyle football competitions are far and few between, with the UK certainly falling into this category. 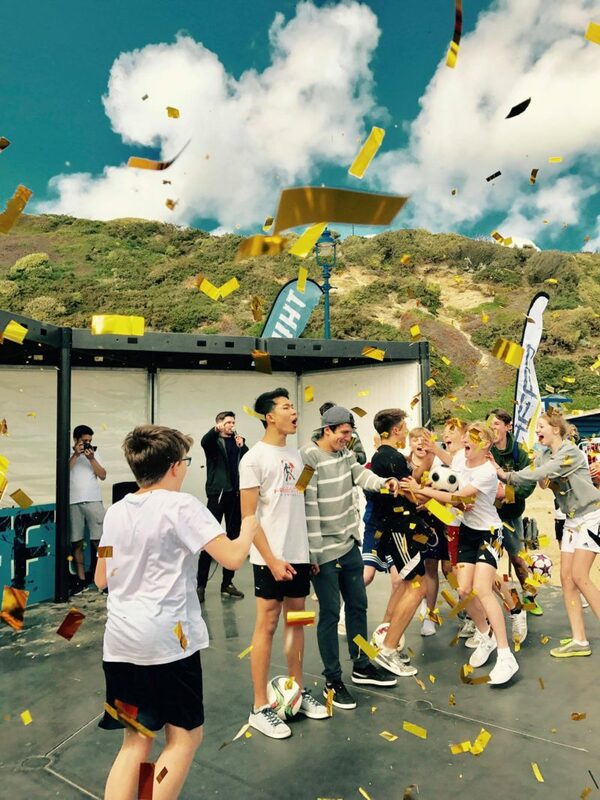 Some will be familiar with the Atlantic Freestyle Football Open (AFFO), an organization which has put on several tournaments during its two-and-a-half year existence, including last year’s official UK and Ireland Championships. Unfortunately, a recent statement from AFFO via their Instagram and Facebook accounts confirmed that they have reluctantly come to the decision to disband. The statement comes almost a month before they were due to host a competition in cohesion with the CONIFA World Cup Final in London on June 9. With no current plans firmly in place for a UK/Ireland champs, the news will come as a bitter blow for any freestylers who were eager to compete this summer on home soil. 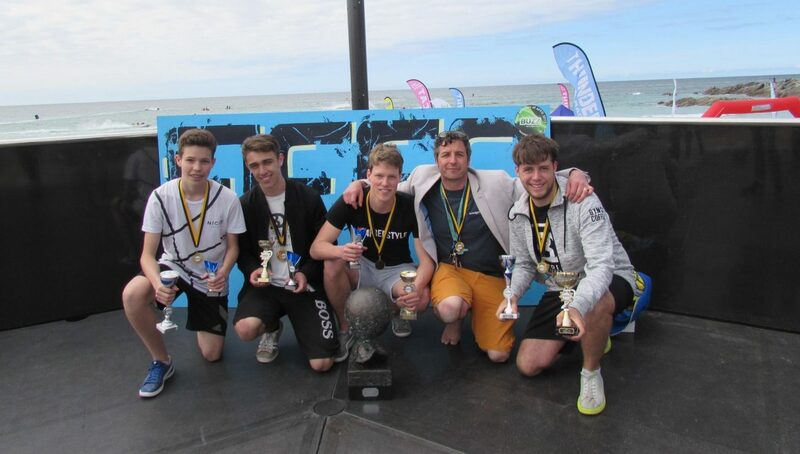 An AFFO event was always a very friendly environment where the freestylers were put first and well-looked after. This was a total reflection on the main man Jason Heaton who created AFFO with the intention of catering to everyone of all abilities at these competitions. It really was the more the merrier! 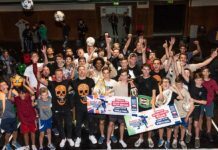 Last year’s AFFO-organized UK and Ireland Championships saw its very first rookies competition, something that was much-needed for all the new freestylers coming through in the UK/Ireland. Heaton is a family man with a heart of gold who on numerous occasions went out of his way to make freestyle events happen with next to no resources or budget. His positive never-say-die attitude often made the big picture a reality. He spent nine months renovating a holiday home (of which myself and other freestylers previously stayed in for a competition in Newquay), and rented it out on Airbnb to generate the financial breathing space his family needed for him to organize the 2017 UKI Championships. Hopefully this begins to shed some accurate light on what kind of guy Heaton is — a compassionate one to say the least. Andrew Henderson claimed his eighth consecutive UK title at last year’s UK/Ireland Championships. Speaking exclusively to Urban Pitch, Heaton gave us the lowdown and some further explanation on what he said was a very tough and sad decision. 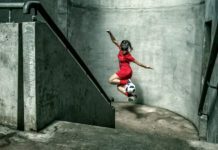 Along with AFFO, Jason also had two other major spinning plates in his life, with his own construction company of which he las been working on for numerous years, as well as his newfound role in organizing the CONIFA World Cup this summer — something which he didn’t expect to be doing initially. CONIFA (Confederation of National Independent Footballing Associations) is a footballing umbrella connecting teams, nations, and people that aren’t registered and affiliated with FIFA. 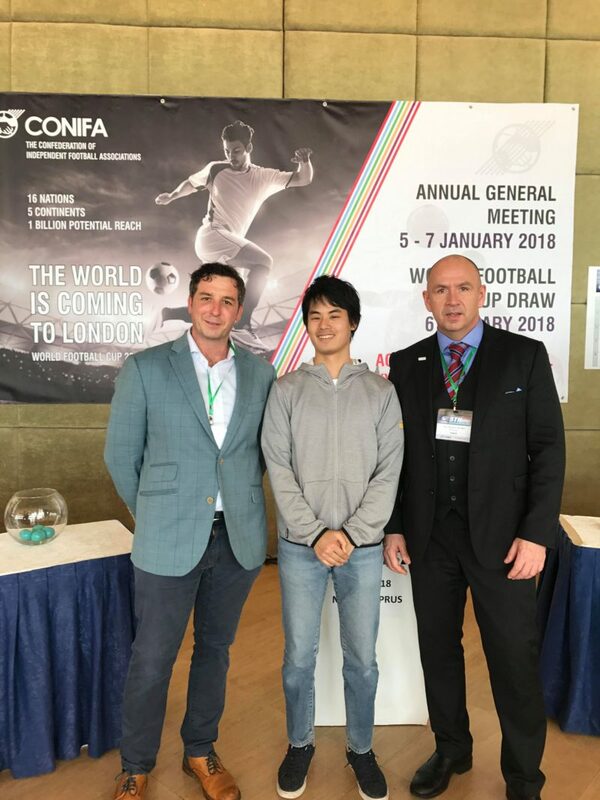 For example, teams such as Yorkshire, Tibet, and United Koreans in Japan are all members of CONIFA, with the latter two teams participating in the World Cup. Heaton originally approached CONIFA when discovering their World Cup would be coming to London, realizing that it would serve as the perfect platform to host a freestyle competition under the AFFO flag. CONIFA was sold on the idea from the start, as they were intrigued at adding a freestyle competition to the traditional 11-a-side games. Heaton (left) eventually found himself on the CONIFA World Cup Global Executive Committee while plans were ongoing for an AFFO competition as part of the event. Heaton was invited to the CONIFA annual general meeting in Cyprus, and was introduced as the person who would be running the freestyle competition. However, members including CONIFA Commercial Director Paul Watson, were so impressed with Heaton that they took an anonymous vote to get him on their Global Executive Committee as they wanted someone with his business energy. Heaton grabbed the role with both hands, wanting to help in any way that he could — 200 percent effort as per usual. 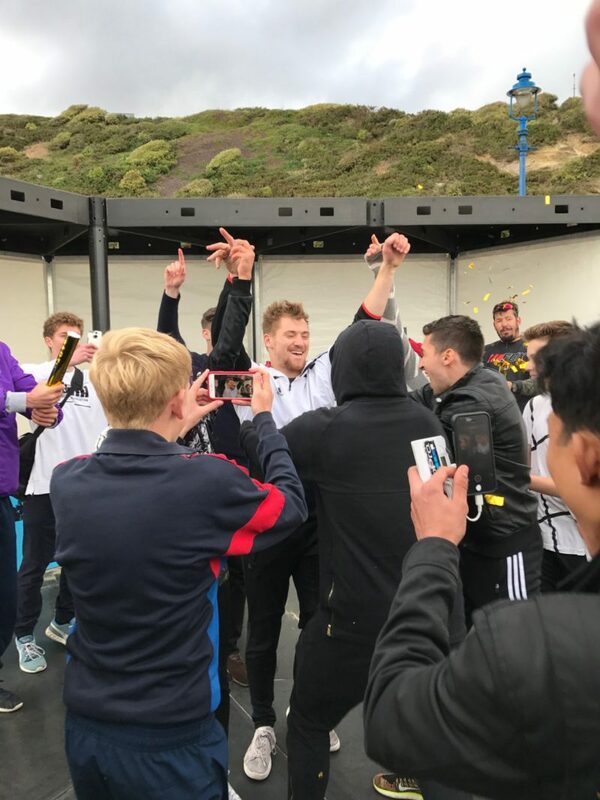 With this role, Heaton found himself heavily involved in organizing, especially with getting teams registered for what was the tournament’s third year. There were still no hiccups or doubts that an AFFO competition would take place at the location of the CONIFA World Cup final. Despite the amount of effort required, at no point did Heaton want to pull out, he wanted to see it through to the end. But ultimately as time progressed and the organizing of the tournament got more intense, the freestyle competition failed to materialize. Sponsors from the tournament were being pushed towards the football side of things rather than the freestyle competition. With CONIFA’s reach and links across 48 countries around the world, the end goal was to have a competition in each participating country under the AFFO flag, helping to develop freestyle football around the world. AFFO was a fantastic chance for rookies and new freestylers to gain some battle experience as well as meet other freestylers. Heaton didn’t deny that money was a factor in ceasing to continue with AFFO as well. With everything being self-funded, it can be a large gamble and one that certainly had an impact on his family too. Reminiscing and giving credit where credit is due, AFFO leaves us with many fond memories, of which the best was still to come if given the time. Each event seemed to get stronger both in turnout and setup (regardless of what you may think of the unconventional beach setting). The collective effort and fun, laid-back social aspects from everyone highlighted a lot of the positive values within the sport of freestyle. Heaton says he has no regrets about anything, and that he did everything he possibly could for each event. 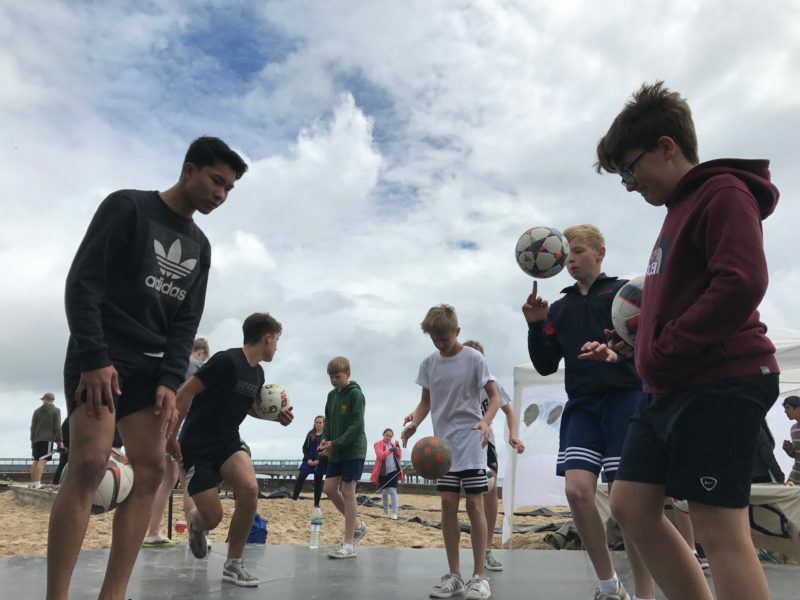 However, he also insists that him stepping down paves the way for someone to follow in his footsteps, as freestyle football can have a positive impact on a lot of people in a plethora of ways. Perhaps granted given the right resources and contacts, somebody can breed new life into freestyle competitions and the scene here in the UK altogether in a way AFFO was seeking to do. 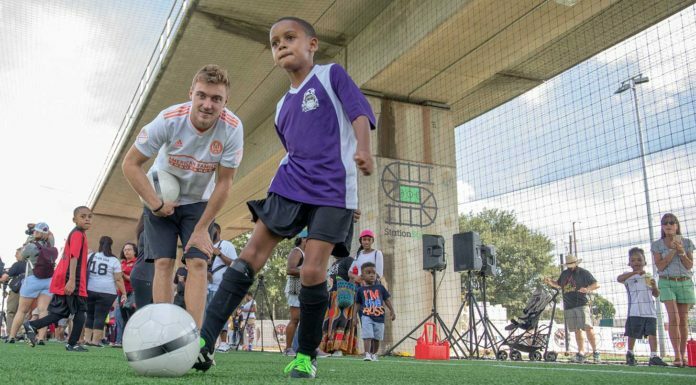 Do Atlanta’s Metro Station Pitches Represent the Next Wave of US Grassroots Soccer?